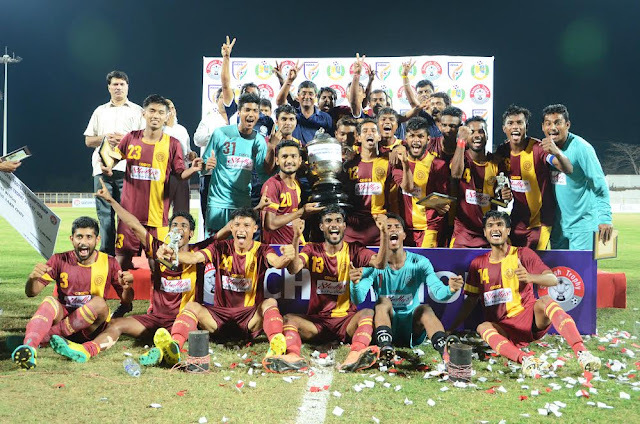 West Bengal triumphed over Goa to win the 71st Santosh Trophy in a match which had a fascinating finish with Bengal scoring in virtually the last kick of the game. It was West Bengal who dominated most of the match keeping Goan defense on their toes. Despite Bengal's dominance, the scoreline remained goalless after 90 minutes. Manvir Singh was the man who stunned the home crowd when his fine left footed effort in the 119th minute beating the Goan custodian.